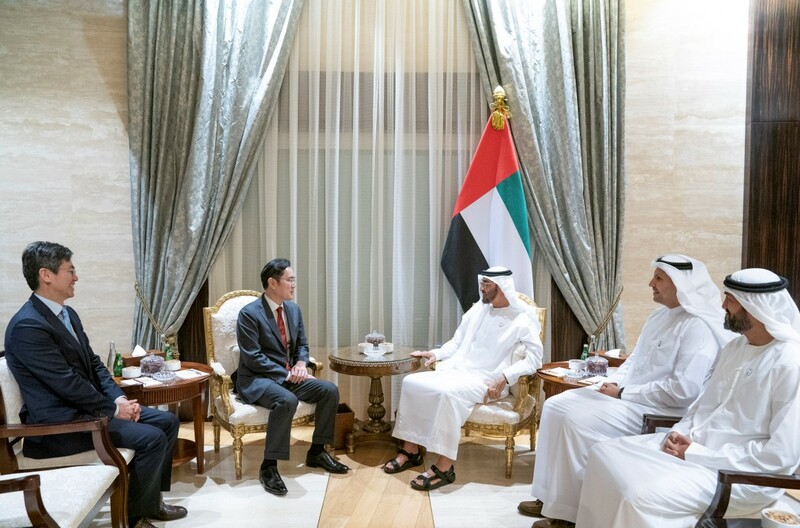 ABU DHABI, 11th February, 2019 (WAM) -- His Highness Sheikh Mohamed bin Zayed Al Nahyan, Crown Prince of Abu Dhabi and Deputy Supreme Commander of the UAE Armed Forces, received today Lee Jae-yong, Vice Chairman of Samsung Group, who is in the UAE to participate in the ongoing World Government Summit 2019 in Dubai. 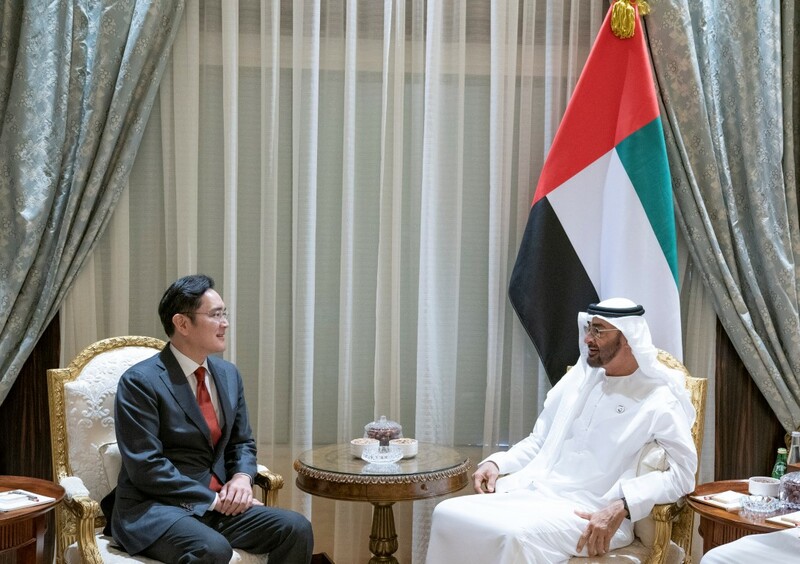 His Highness Sheikh Mohamed bin Zayed and Lee Jae-yong explored prospects of cooperation between UAE companies and their Korean counterparts specialised in modern technology and smart applications in order to support vital sectors in the UAE. They also exchanged views on a host of issues of mutual interest.